Some people might picture retired life as an opportunity for relaxation, but for others, retirement is an opportunity to serve the Lord. When Larry and Becky Haight retired, they found themselves in the latter category. Larry and Becky took a trip to Southeast Asia in 2018 and described it as “the best three weeks of retirement” they had. So in 2019, they returned to Southeast Asia to continue the work. They made the trips by using their retirement savings. They spent thousands of dollars on each trip but felt that this was indeed the call of the Lord. 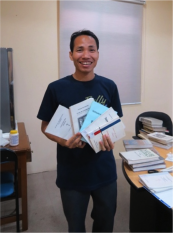 The gift and expertise that they had in library services and education was the key needed to rebuild the libraries of many campuses of Chapman International College (CIC) in Myanmar and Thailand. 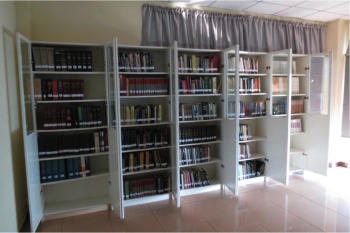 After their trips, CIC had over 2 thousands books cataloged in four languages at multiple campuses. Larry and Becky were not only working to organize the libraries, but were also training local teachers and librarians to hone their skills. Their efforts reflect CIC’s motto: Entrusted to Entrust (2 Timothy 2:2). Capacity building of local librarians was one of the many things that were accomplished in order to sustainably transfer their expertise. 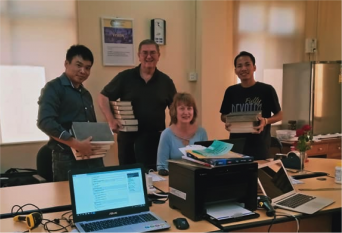 It’s hard to imagine what a retired librarian and a school teacher could do missions work on the other side of the world, in countries where they spoke different languages. But we believe that the Lord calls each one of us with a unique gift and calling for the greater Kingdom. If we entrust our everything to him, Jesus can lead us in His works in the most unexpected ways, just as he did for Larry and Becky.